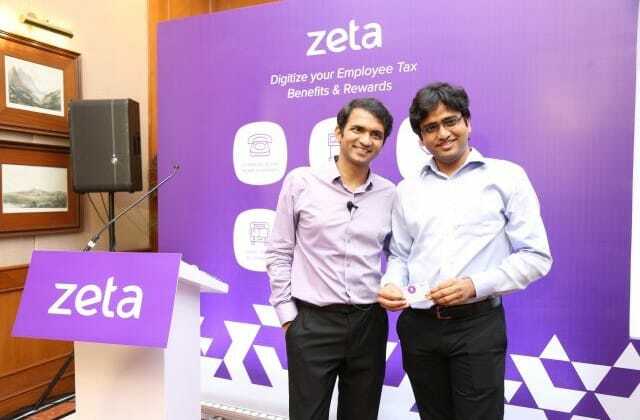 BENGALURU: Serial entrepreneur, Bhavin Turakhia founded tax optimizer solution company, Zeta has unveiled three new digital solutions yesterday at a launch-event here in Bengaluru. Zeta helps working professionals increase their take-home salaries by utilizing tax-compliant benefits. The company has added Fuel & Travel, Communications and Books & Periodicals to its product portfolio. Zeta’s cloud-based solution enables companies to send grants to employees instantly via a digital dashboard. In just a few clicks, managers can credit grants to all employees in one go, who in turn, can spend it using a MasterCard-powered physical Super Card, an NFC-enabled sticker — Super Tag or the Zeta App. Currently, Zeta serves 35,000 users across India. Zeta says that its unique e-solutions offer tax savings to employees as per legal provisions on fuel reimbursements or allowances, mobile phone and internet bill reimbursements and books & periodicals reimbursements. These three products are in addition to Zeta’s existing digital solutions like meal vouchers, medical reimbursements, gadget card and gift card. “Corporates can easily roll out Zeta’s employee-friendly solutions through which a salaried person can increase their take-home salary by Rs 80,000 per annum,” said Zeta CTO and co-founder Ramki Gaddipati. More than 300 corporates, ranging from start-ups to conglomerates, across industries have already implemented Zeta’s solutions. “We have seen good growth in the past few months. Given our pace, Zeta will see an investment to the tune of US$25 million in the current and next financial year that will be used for scaling up the business,” added Turakhia. Zeta’s latest digital tax optimizer solution to boost employees’ take-home salary by Rs 80,000 0 out of 5 based on 0 ratings. 0 user reviews.